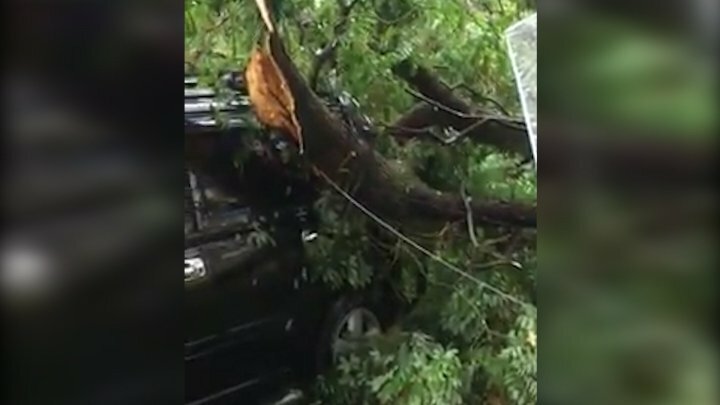 A tree has fell over a car after the strong rain in the Capital. The incident occurred on Ismail street. The man told us he had notified the police and expects them to intervene.